Have you heard of typewriter art? Below is my very first attempt - it was so much fun to make! I'm more than a little obsessed with typewriters and all that they can do... I have even amassed a small collection of typewriters, which I quickly learned is kind of an impractical collection, since typewriters are so huge and heavy, ha ha. So I have decided to part with a few, and they can now be found in my Etsy vintage shop, Nostalgia Factory. 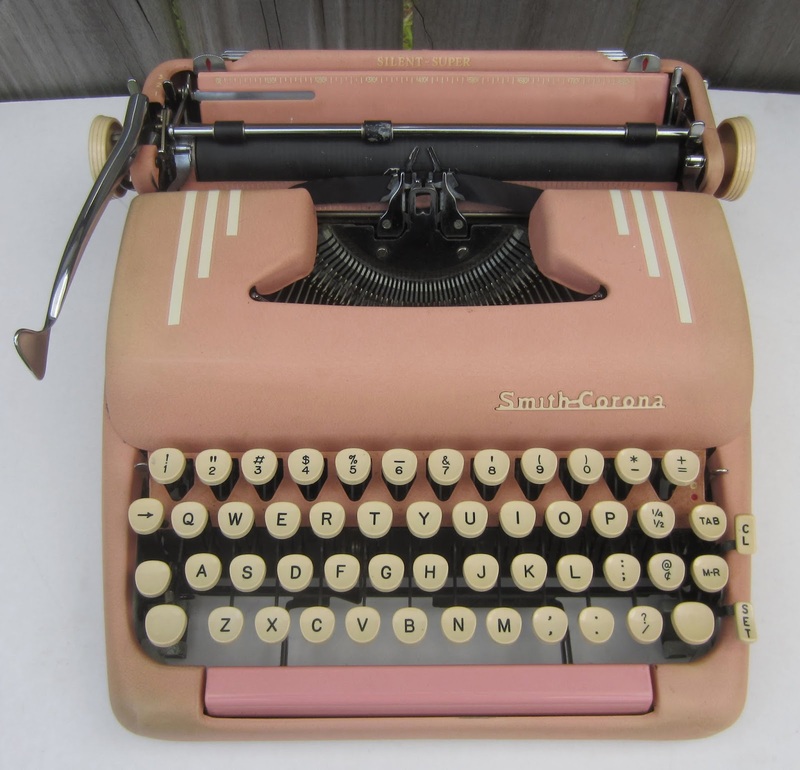 It's a pink Smith-Corona Super Silent typewriter from the 1950's in excellent working condition. It's just so charming and fun! You can see more photos and read about the typewriter by clicking here. Corona Four Bank from the 1920's (above). 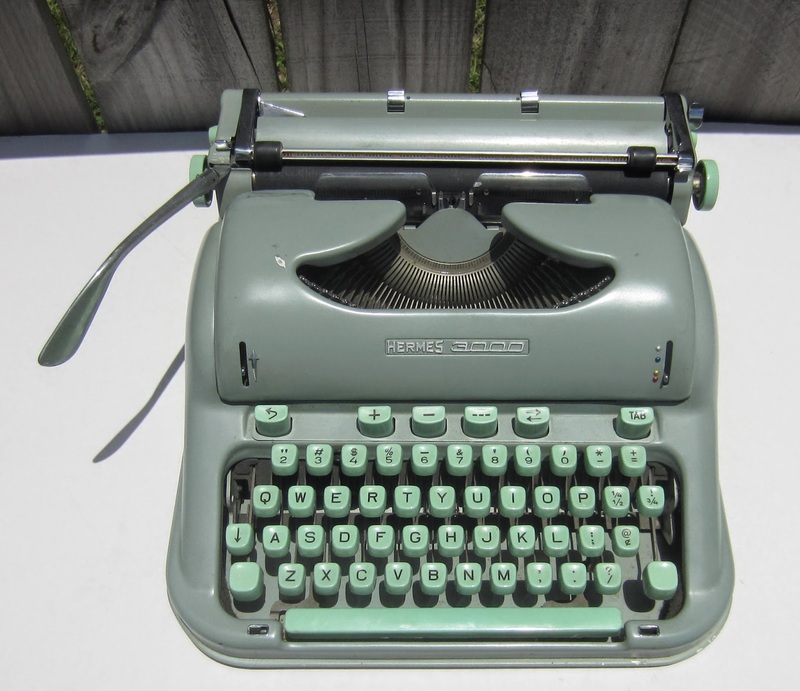 Seafoam Green Hermes 3000 from the 1950's (above). 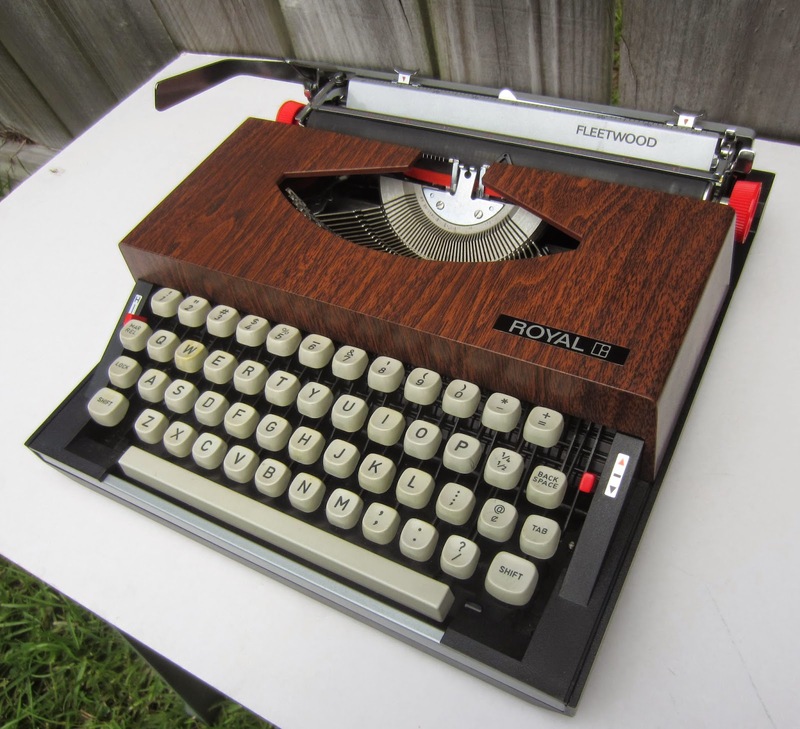 Royal Fleetwood Typewriter from the 1970's (above). Your typewriter art is fantastical! Did you have a template or kind of went with the flow?! I've been wanting a typewriter for a few years now but I'm always afraid I'll buy one in good condition and it won't work. Lol! Thank you so much!! You are so kind. :) No, I didn't use a template; I just went with the flow - it was so fun! OMG that is AMAZING! No lie! I love it! It is so creative! I know I would never be able to do that! I am totally envious of your talent! 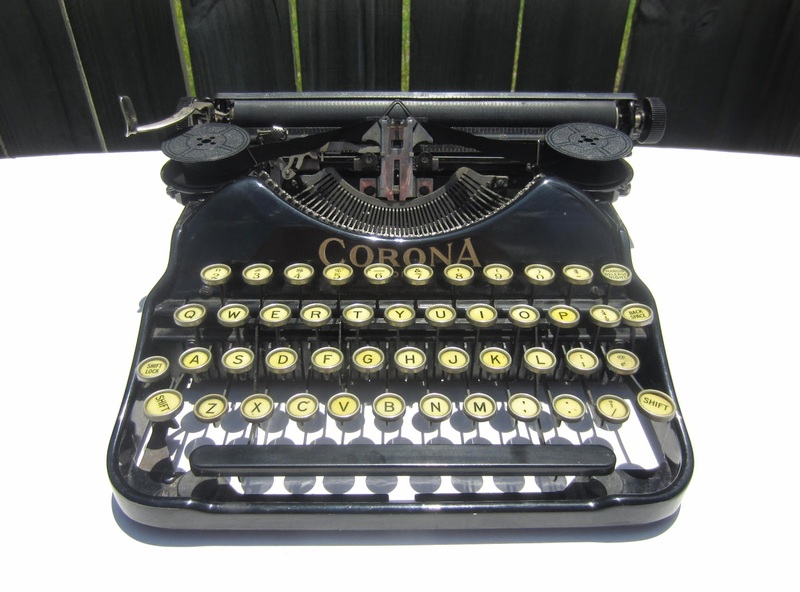 BTW - typewriter collecting, very cool....but yeah so impractical! LOL! I bet it's hard to get rid of those beauties despite the fact that you know you need to!